It is time the Pacific people critically re-examine their history and the rich resources embedded in all island cultures’ core understanding of what it means to be a Pacific Islander. The message comes from leading Samoan Theologian and Scholar, Reverend Dr. Upolu Lumā Vaai. 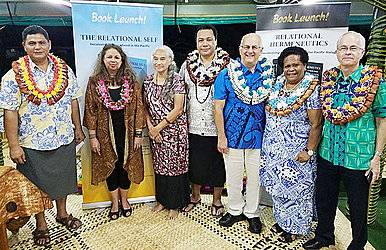 In Fiji, he recently launched the books, Relational Hermeneutics: Decolonising the Mindset and the Pacific Itulagi and the The Relational Self: Decolonising Personhood in the Pacific at the Pacific Theological College in Suva. The books are essential on the Pacific rethinking and decolonization agenda. 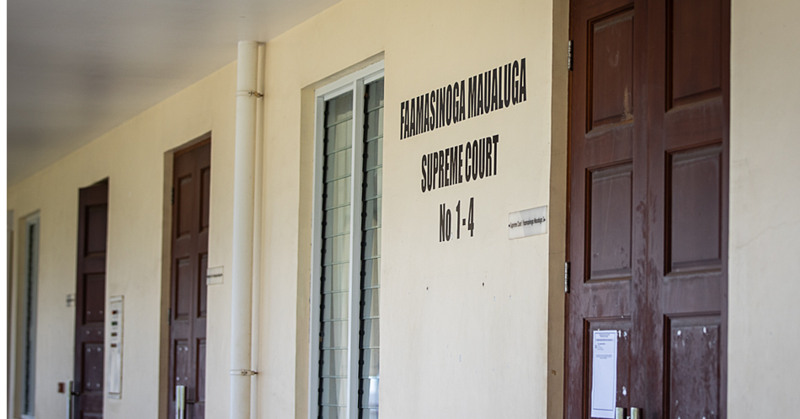 Dr. Vaai is the Associate Professor and Head of Theology and Ethics at the Pacific Theological College in Suva. The first book The Relational Self: Decolonising Personhood in the Pacific was edited by Dr. Vaai and Prof. Unaisi Nabobo-Baba from the University of Guam with the Foreword written by His Highness Tui Atua Tupua Tamasese Ta’isi Efi (read Tui Atua’s foreword on page 7). The book was launched by Prof. Konai Helu Thaman of the University of the South Pacific, and one of the icons of rethinking education in the Pacific. The second book is Relational Hermeneutics: Decolonising the Mindset and the Pacific Itulagi, edited by Dr. Vaai and Aisake Casimira, the director of the Institute for Mission and Research at the Pacific Theological College. This book was launched by Prof. Bill Ashcroft of the University of New South Wales and also one of the known and recognised founders of postcolonial theory. “Both books are part of the ‘relational renaissance series’ in an effort to respond to the challenges confronting island societies today by re-examining the rich resources embedded in all island cultures’ core relational/interconnected understanding of what it means to be a Pacific islander,” Dr. Vaai said. “From the perspectives of their diverse disciplines and cultures, the authors from diverse cultures and academic disciplines reframe the quest for decolonization by deconstructing the non-relational understandings of our mindsets that are the legacy of colonization and reconstructing a ‘relational renaissance’ of Pacific values that can empower Pacific Islanders to be agents of decolonization. “By rediscovering the foundational Pacific understanding of relationality that govern and encompass all of life in the Pacific itulagi (lifeworld), the authors offer an alternative to the dominant colonial neo-liberal capitalist paradigm of ‘development’ that benefit only a few at the expense of many, fracturing the harmony and interconnectedness of life, and destroying and violating sacred spaces including the environment. The two books are timely and are praised by not only academics in the Pacific and from around the world including Prof. Bradd Shore (US), Prof. Anthony Kelly (Aus), Prof. Orm Rush (Aus), Prof. Manulani Meyer (Hawaii), Prof. Cluny Macpherson (NZ), Associate Professor Katerina Teiawa (Aus), Prof. Konai Helu Thaman (Fiji), Prof. Bill Ashcroft (Aus), Associate Professor Graham Hassall (NZ), and Prof. Vidal Gilles (France) but also NGOs and civil societies around the Pacific in order to help with their development frameworks. “The lies of colonization are the seeds of the empire, but the resilience of its victims is the seed of liberation. The nurturing ground of such resilience is the thought systems and the stories of the people,” Dr. Va’ai said. He said we as Pacific islanders needed to rewrite our story, a liberative story. “This story is only a story if it ‘includes all that is us’. In order to breathe life and hope, we have to ‘unashamedly be Pacific’,” Dr. Va’ai said. “There is an increasing importance of rediscovering our relational thinking, relational values, and relational faith and cultures that shape our daily way of life in relation to other people, especially in relation to the environment, God’s creation. 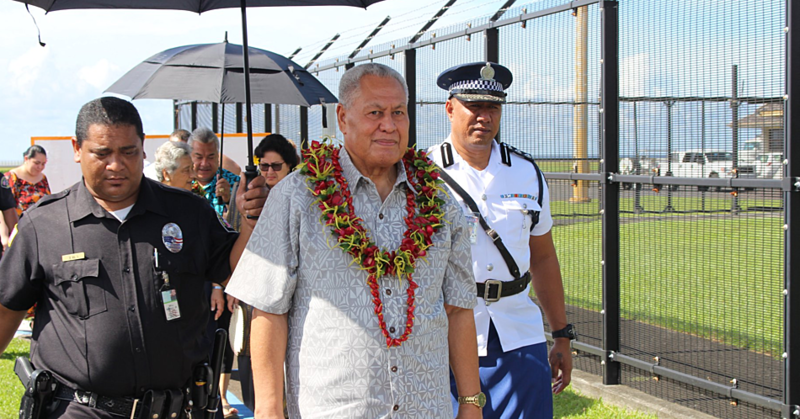 “This is in response to the many non-relational trends that are emerging in the West and in the Pacific as well. However we also have to make sure that these values and cultures have been twisted by our own people who are deeply shaped by the neo-liberal capitalist system to support their own personal agendas and greed for power and authority whether in the church, governments, villages, or institutions. The launch was attended by heads of churches, representatives from tertiary institutions such as the University of the South Pacific, Fiji National University, St. Johns Theological College in Suva, South Pacific Associations of Theological Colleges, University of Fiji, University of Auckland, Australian Catholic University, as well as heads of NGOs and civil societies and representatives from regional forums. Dr. Vaai added: “The next books in the series include the next one ‘Relational Theology’, then ‘Pacific Indigenous Relational Philosophies’, and lastly ‘Pacific Relational Ethics.’ I thank God for the relational cultures and values gifted to our Pacific island people.